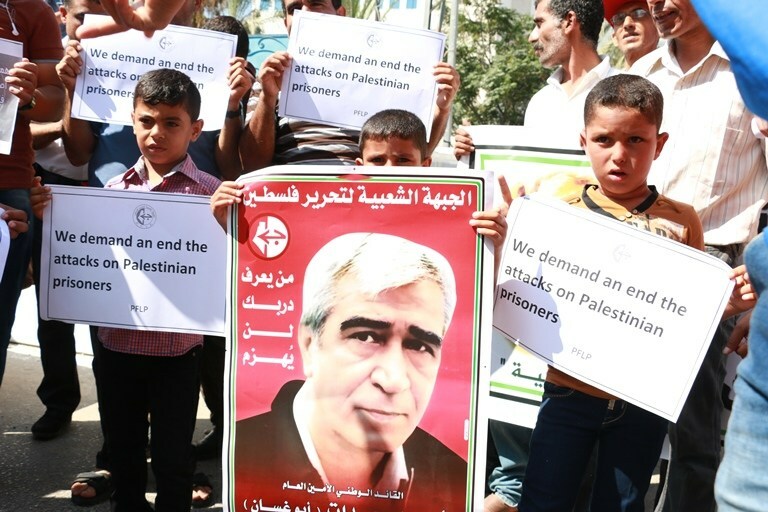 On the 13th anniversary of the storming of Jericho prison and the kidnapping of Ahmad Sa’adat, the General Secretary of the Popular Front for the Liberation of Palestine, and his comrades, we will not forget and we will not forgive. On this day in 2006, the occupation forces committed a new crime among many against the Palestinian people: its tanks, bulldozers and militay vehicles stormed the Jericho prison where the leader Ahmad Sa’adat and his imprisoned comrades wee held. 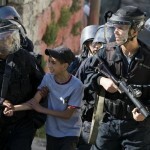 This attack ended in the kidnapping of Sa’adat and his comrades as well as the struggler Fuad Shoubaki in a plot that implicates the Palestinian Authority, the UK and the United States as well as the occupation. First and foremost, we affirm that the Palestinian people and their national liberation movement will neither forget nor forgive this crime and all those involved in perpetrating it, first and foremost, the Palestinian Authority that concluded the deal with the occupation, the United States and Britain to imprison them. 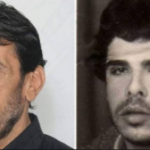 The life of Comrade Ahmad Sa’adat and his comrades were put at risk through his arrest and detention in Jericho prison, which led to the subsequent occupation crime and the kidnapping of Sa’adat and his comrades by the occupation forces in front of the Authority and its failed institutions. Second, the campaign highlights the role of the Palestinian Authority’s so-called security services, which act as security guards for the occupation. 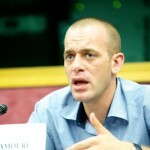 This event also reveals the reality behind the false image of the international community, which acts in full complicity in attacks against the Palestinian people and their just rights, as an ally of the occupation, ignoring or supporting its crimes. 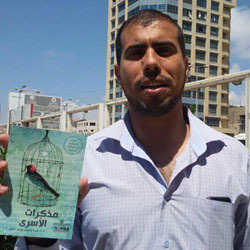 Third, the arrest of Comrade Ahmad Sa’adat and his comrades by the PA’s security services, which later led to his detention in Jericho prison, is a file that has not been and will not be closed. Those responsible in the Authority for involvement in this crime will be held accountable, and oppressors will be pursued, no matter how long it takes. 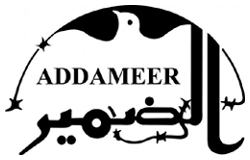 Fourth, this day marks a bitter occasion, but it reminds us of the steadfastness of the leader Ahmad Sa’adat, his resilience and that of his comrades in the face of this crime, and the unrivaled courage they have shown. This leader presents a model of principle that gives us hope and conviction that the occupation and its agents will fall. Fifth, the campaign calls for a serious Palestinian national position to draw lessons from the entire experience of struggle on the road to rid the Palestinian people of the disaster of Oslo and create a new path of struggle. This requires rethinking the comprehensive resistance against the Zionist entity, including and especially the armed resistance, as well as supporting the Great March of Return in besieged Gaza. Sixth, the campaign calls for expanding solidarity with the Palestinian prisoners in Israeli jails, who are under continuous attack. This necessitates the development of tools of pressure capable of drawing the attention of the world to the issue of justice and freedom for the prisoners, as imprisoned freedom fighters deprived of their rights and thei youth by the occupation. 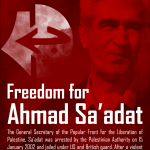 Freedom for the leader Ahmad Sa’adat and his comrades! Shame on the traitors who are complicit in his imprisonment. Victory for Palestine and the Palestinian People!